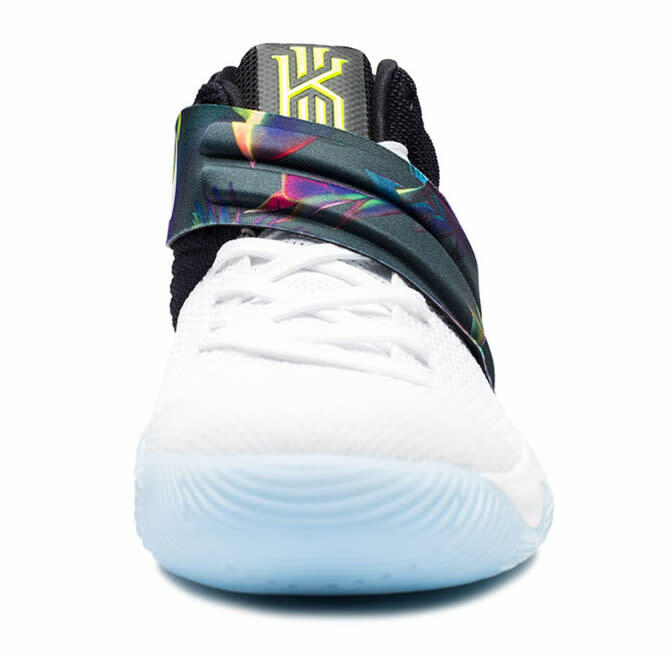 The "Parade" Kyrie 2 is available now. 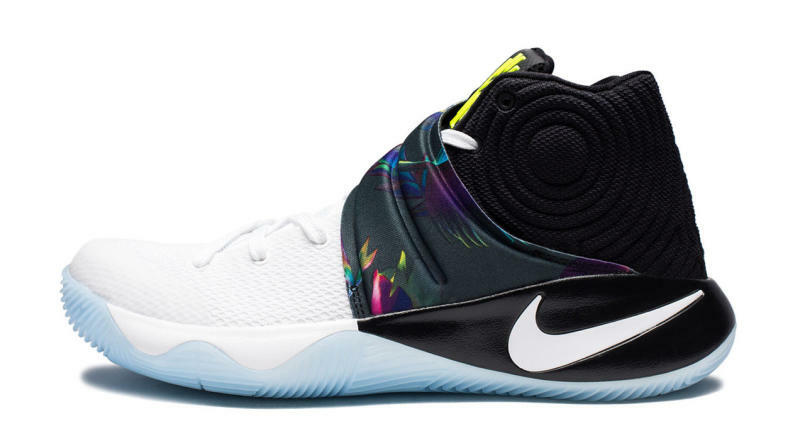 The mysterious "Parade" Nike Kyrie 2 is available now. Sizes are in stock at West Coast sneaker store UNDFTD via its online shop here. The shoe gets its nickname from Kyrie Irving wearing a pair during the Cleveland Cavaliers' championship parade, although it's unclear what the actual story from Nike on the colorway is. It's possible the model is tied to this summer's Olympics given the floral touches on the strap that feel in step with the tropical aesthetic Nike is pushing for Rio. 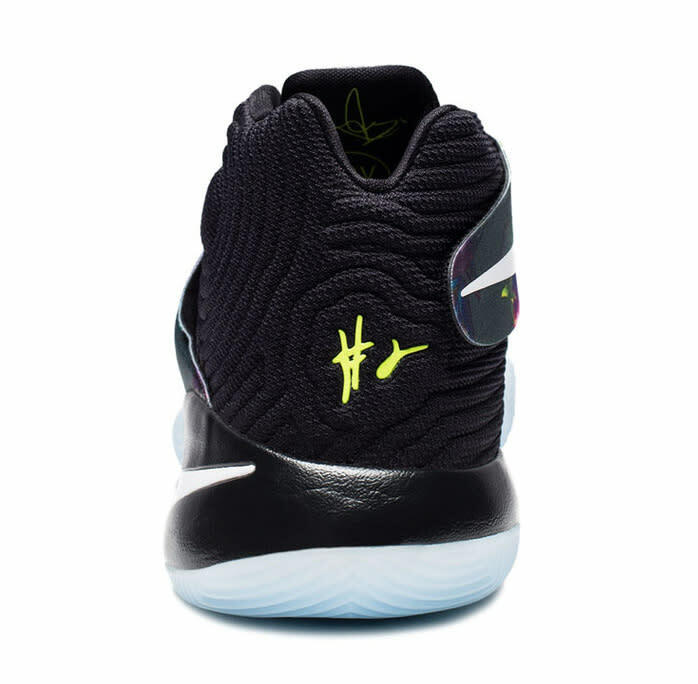 While this Kyrie 2 is selling at UNDFTD now, a full-on retail launch hasn't happened just yet. Readers can watch for a wider release on Aug. 6.